At about eleven years old, I used to sell meals to my brothers (I had four of them). I got 25 cents for scrambled eggs or a sandwich, and more for more complicated meals. My brothers preferred to stay in front of the TV and let me cook for them. Since the food was already provided by my parents, the income was pure profit. Many young kids know a lot about computers. My nephew was getting paid for programming by the the time he was fourteen, but even younger kids can show old folks how to use a computer and the internet for a fee. Learn a few more skills, and they can even set up computers for new owners who are using them for the first time. Letting grandparents spread the word would be a good marketing ploy. I charged my brothers five cents for a wadded up piece of paper selected from a bucket full of them. Most had a penny or two inside them, but a few had a quarter. It was just one of my “carnival” events. I also had them throwing pennies at a bowl across the room, which I kept, of course. If a penny stayed in the bowl they won a dime. I’m almost embarrassed to say how much of their hard-earned paper route money I took from them. We collected and returned cans and bottles for a deposit as kids. Now that more states have return laws, it’s an even better way to make a little cash. During the Cherry Festival, when I lived in Traverse City, Michigan, adults came to town just to collect the cans that people threw all over. With a 10 cent deposit, they were collecting more than $100 worth per day according to several of them. If the kids wear gloves, leave broken cans and bottles alone, and use hand sanitizer, this is a safe way to make money. If there are many people in the family, a great way for kids to make money is to sell their services. They can make a menu of things they’ll do and how much they charge for each. It might include washing windows for 50 cents each, for example, and maybe $1.50 to walk a dog. If the list is copied, it could be handed out to all relatives and possibly neighbors too. If parents agree, kids can have rummage sales, selling not just household things, but arts and crafts and refreshments too. Parents might even take their kids to a flea market to set up a stand. I sold (as an adult) more than $1,000 of hand-made walking sticks one summer, while my wife sold hundreds of dollars worth in pewter figurines glued to rocks, sea shells and crystals. Cookies and drinks sell well too. 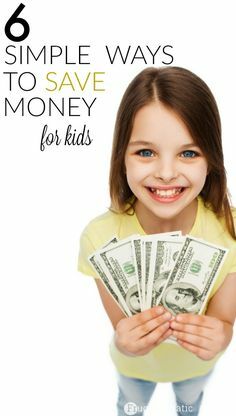 It’s a great way to learn about business, and a good way for kids to make money.